A.C.E. English PACEs focus on developing writing skills including word usage, grammar and sentence structure. Students use these skills to plan, outline and compose texts of various types. 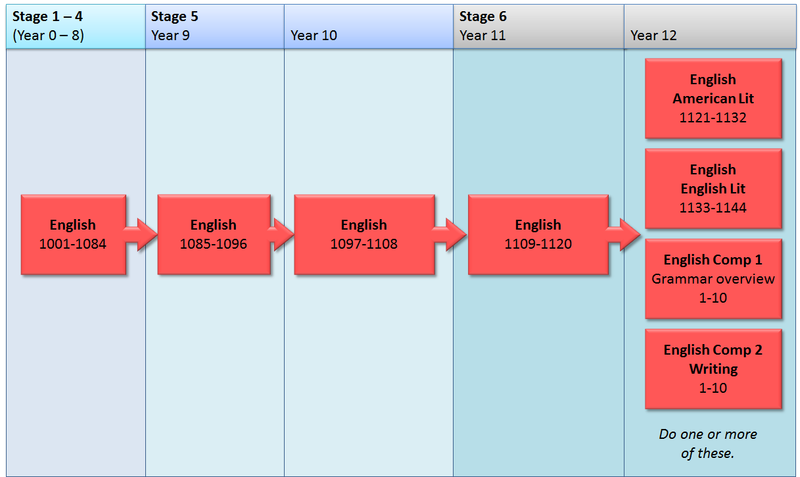 English PACEs are sequential through to Year 10/11; after this, students may choose what level they wish to study. The following table is a guide. Contact us for more detailed assistance.